Is it really possible to gain ALL of these benefits using the power of your mind? Where there is magic, there is mystery. We've found that many people who are attracted and made hopeful by the promises of probing and reshaping the subconscious mind will hesitate to embrace it because they aren't sure they want something so mysterious to go on with their minds. In fact, what actually happens is no more mysterious than what happens to your body when you run on a treadmill for 10 minutes. It is a fairly straightforward neurophysiological process whose effects can be scientifically observed, measured, and understood. Let's start with this question: Why is it so hard for most people to get the things they want? It's a simple enough question, one you've probably asked yourself before. The problem is the answers we've been fed all our lives aren't the right ones. It ISN'T a matter of desire. You can powerfully... desperately... want a certain result and never achieve it. It ISN'T a matter of determination. How many times have you sworn to make a particular change in your life and ultimately failed to do it? It ISN'T a matter of action. You can take all the right steps, follow all the right rules, do all the "right things," and still not reach your dream. If you can relate to the frustration of not getting certain things you really want in life — in spite of your strongest desires and best efforts — then I am here to tell you that the answer lies in your subconscious mind. But the good news is that there is an easy way to rework its previously fixed patterns that have you locked into the same results you always get. Somewhere between wanting to change and actually changing... between envisioning a goal and achieving it... between the person you are right now and the person you want to be... there is a MISSING PIECE. An "x-factor" to changing the way you are wired that you have never considered because you had no idea it exists. No, this is something completely unexpected and totally revolutionary. But it is something that requires almost NO EFFORT on your part and that will AUTOMATICALLY and perhaps even INSTANTANEOUSLY bring about life changes you may have spent years struggling to create. Imagine you own a small business, and things just aren't going the way you wanted them to: The wrong inventory is coming in, the wrong orders are going out, the numbers aren't adding up each month. You're doing everything right, but the results are all wrong, and it doesn't make any sense. Now imagine finding out that your silent partner in the business — someone you rarely meet or speak with — has been overriding your decisions and running the show himself! This exact scenario plays out every single day. Only the "business" in question is your life, and the partner pulling the strings behind the scenes is your subconscious mind. From the way you handle money, to what you eat, to the people you choose as your friends and companions... even the state of your health... all of your behaviors, actions, and attitudes are directed by limiting beliefs that come from your subconscious. These beliefs are rooted in past experiences that are often long-forgotten by you. And your subconscious created them with your best interest at heart. But the unique way the subconscious interprets events can create a disconnect between what you want in life and what you're actually getting. Take weight loss, for example. You can go on a diet. You can exercise. You can stop eating carbs. 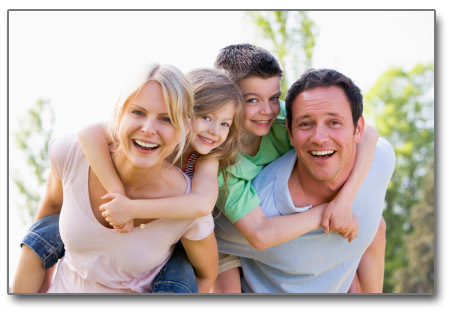 You can consciously do all sorts of things that should help you to take off the excess pounds. And you can even experience some success. But if your subconscious mind has determined that carrying extra weight is somehow good for you — perhaps because it wants you to be "protected" or "insulated" from something — then eventually you're going to put those pounds back on. The same holds true for just about any situation you can think of. If your subconscious mind isn't programmed to make a specific change happen, then it's just not going to happen. But simply telling your subconscious mind to do things differently isn't going to do the trick. In fact, it can even work against you. Addressing your subconscious using the same words and imagery you would use to address a friend is exactly like giving directions to someone who doesn't speak a word of English. That person would try to follow you and make sense of what you were saying, but there would be a lot of room left for error and a high likelihood the person wouldn't get to where he or she wanted to go. If you want to reprogram the messages your subconscious is operating on, you've got to tune in to the right frequency and start speaking its language. Once you know how to do that, you will be able to automatically implement changes that you may have been struggling with for years — even changes you thought were impossible. You will begin experiencing the results you want immediately, and you'll keep on experiencing them for as long as you want to. The question, of course, is how do you do it? The answer lies in a process you've probably heard of, a process that's both extremely well-known and widely misunderstood. More than 30 years ago, Gale Glassner Twersky's life path was changed forever when she was serendipitously introduced to this process in a training course. The process she had discovered was hypnosis, and from that day forward, Gale dedicated herself to putting this remarkably powerful tool into the hands of as many people as possible. As a high school teacher, she watched people struggle to change and improve every day. Why, she wondered, didn't her students know about this amazing technique? It was so easy and so effective... why wasn't it being explained and used everywhere, by everyone, to achieve the things they wanted? Today, as a well-established and highly respected HypnoCounselor who has worked with countless individual clients, educational groups, CEOs, and Fortune 500 companies, Gale has come a long way toward accomplishing that goal. When my staff discovered Gale's remarkable talent and knowledge, we jumped at the chance to bring this life-altering information to our customers. We are proud and excited to publish Reprogram Your Subconscious: How to Use Hypnosis to Get What You Really Want. After hearing this groundbreaking audio program, you will not only understand how hypnosis affects and influences the subconscious mind, but you will also experience the transformational power of this process for yourself. Hollywood, novels, and a host of other influences have left most of us with a very specific — and largely inaccurate — picture of what hypnosis is all about. To begin with, hypnosis does not put you to sleep. On the contrary, it brings you into a state of heightened consciousness, a sort of super-awareness. You're awake and fully cognizant of what is taking place, but your focus is concentrated somewhere other than on your immediate surroundings. What's more, a person under hypnosis cannot be persuaded to do anything he or she wouldn't do under normal circumstances. It's impossible! Your mind flatly rejects any suggestions that are contrary to your beliefs, values, and morals. But one common perception about hypnosis is true: It is extraordinarily powerful, and it can have an immediate, profound, and lasting impact on a person's behavior. Once you have a clear, uncomplicated understanding of how and why hypnosis works, you will get to experience the results for yourself as Gale's soothing voice takes you through three hypnotic guided imagery sessions. YES, I want to use hypnosis to improve my health and eliminate stress and negativity! There are no subliminal messages planted in these recordings: You will be fully aware of what you are hearing at all times and ultimately in control of how it affects you. As Gale says, "You are the master; I am the guide." One thing is for certain: If you are ready to experience change and open yourself to the process of hypnosis, change will happen. 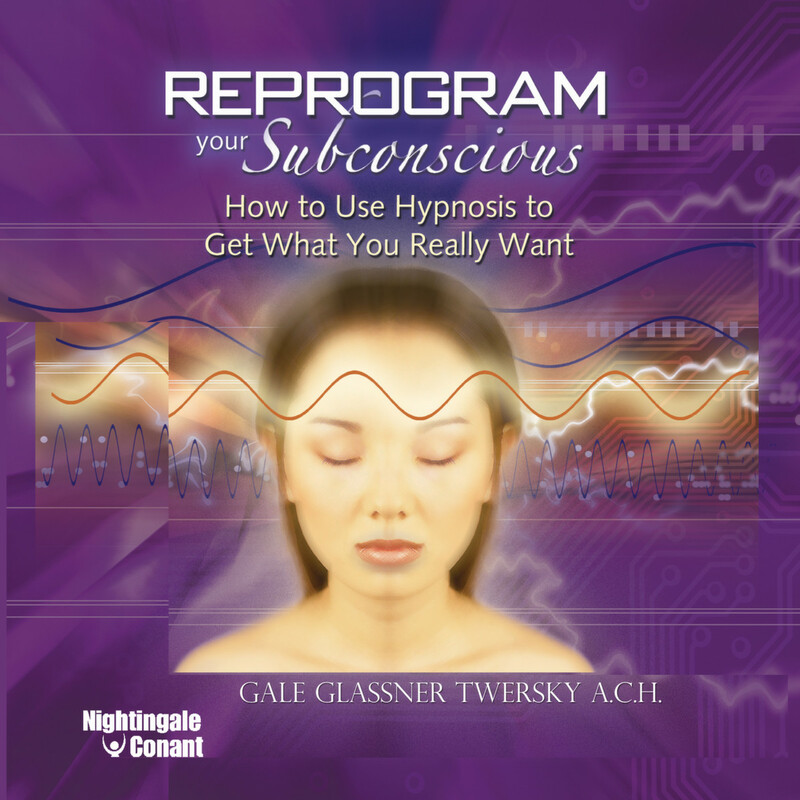 Perhaps the most remarkable thing about Reprogram Your Subconscious is that Gale not only acts as a facilitator — expertly guiding you through hypnotic sessions — but she also instructs and empowers you to become your own hypnosis facilitator. In a very special bonus session, Gale takes you step-by-step through the simple process of self-hypnosis, giving you all the information you need to guide yourself into a hypnotic state and program your subconscious to create the specific results you are looking for at any given time, without the help of a third person! In fact, the possibilities are endless. Once you possess the incredible tool of self-hypnosis, you can use it to quickly and effectively create just about any change you can conceive of. Many of Gale's clients spent years trying to overcome their challenges without total success before arriving at her office. They approached hypnosis as a last resort, only to find that with it, they were able to break through their challenges and accomplish their goals, in a matter of hours or even minutes in many cases! No matter what you want to change in your life, and no matter how long or how hard you've worked to change it, hypnosis is the one key to making it happen faster than you've ever dreamed possible — by targeting and reprogramming the subconscious limiting beliefs that direct your behavior and cause you to make the choices and take the actions that create your life's circumstances. Order Reprogram Your Subconscious: How to Use Hypnosis to Get What You Really Want today, and discover the fascinating hows and whys behind the power of hypnosis and, most importantly, experiencing that power for yourself. Once you discover how incredibly easy it is to reprogram the subconscious messages that direct your thoughts and actions — and once you see how quickly those new messages translate into the real-life changes you've been longing for — you are going to want to make Reprogram Your Subconscious a permanent part of your library. With continued use, the incredible transformational power of this series only increases. However, if you aren't completely satisfied with what you hear and experience, you can return it any time within 30 days and receive an exchange or refund of the program price — no questions asked. So you have nothing to lose! Find out for yourself how easy and painlessly profound lasting personal change can be. Order Reprogram Your Subconscious today! YES, I want to use the powerful gift of hypnosis to improve my health, eliminate stress and negativity, and enhance just about any part of my life. Please send me Gale Glassner Twersky’s audio program Reprogram Your Subconscious — I can select one of two ways of ordering.